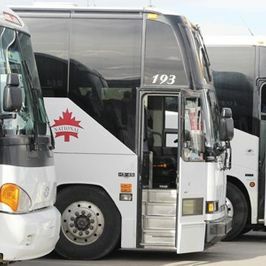 Charter Vehicles Alberta | Our Fleet | National Motor Coach Systems Ltd.
National Motor Coach Systems Ltd. has a diverse fleet of more than 40 vehicles to perfectly match any North American transportation needs you, your business or your organization face. 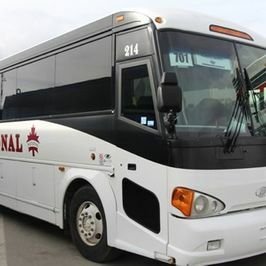 With a main office in Calgary and satellite offices in Lethbridge and Banff, National Motor Coach Systems is licensed to provide charter vehicle services throughout North America. Our highway coaches are primarily from the Prevost® H3, MCI J 4500 and D 4505 lines but every vehicle in our fleet features onboard Wi-Fi. Over the past few years, we have also added mini coaches to our fleet as well as vans and school buses to meet the needs of smaller groups. 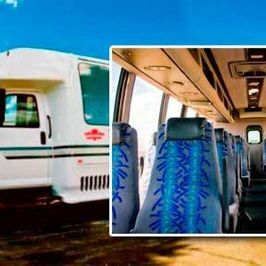 If you expect VIP travel, we have a completely remodelled MCI coach that can accommodate 24 passengers in complete luxury. Speak to our travel planners to learn more about our many charter vehicle options! 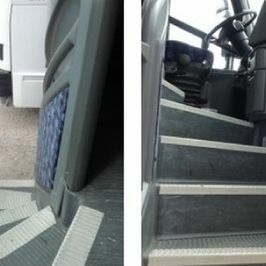 All of our coaches are equipped with adjustable seats, TV screens and a public address system. 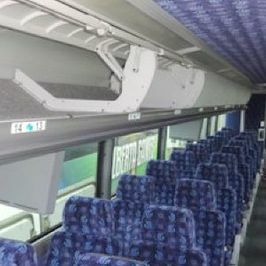 Large panoramic view tinted windows and climate control systems ensure passengers’ comfort and viewing pleasure. 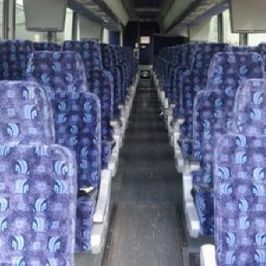 Wi-Fi is available on a bus if requested and based upon availability.